Let your luminosity shine through with Cartier Carat Eau de Parfum Spray, a sensual and modern floral scent for women who radiate happiness. An explosion of pleasure, freshness and energy, Cartier Carat was created to cleverly imitate a diamond’s light refraction. When light enters the prism of a diamond, it shines through in the seven colours of the rainbow. Cartier captures this wonderful light magic in a fragrance, selecting seven precious flowers to represent each of the reflected colours. Carat’s composition is made up of a multicoloured bouquet. Aromatic tulips for red, sweet honeysuckle for orange, daffodil for yellow, seductive ylang-ylang for green, blue for hyacinth, iris represents indigo, and violet, well that goes without saying! The result is a pure white scent that encapsulates the luminous spirit of a diamond. Carat is a a sensual and daring contemporary scent. Luxurious but light enough to wear every day, its radiant floral tones leave flashes of joy wherever you go. And of course, we can’t talk about this fragrance without mentioning its multifaceted art deco style bottle; it’s sure to add an elegant touch to any dressing table. 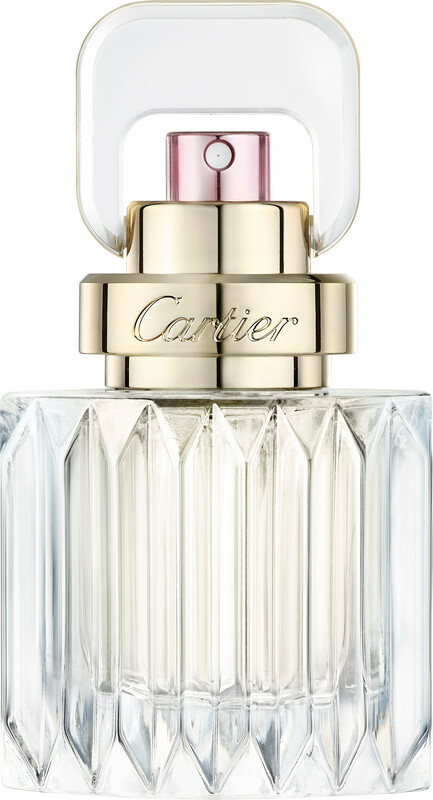 FREE* Cartier Carat Eau de Parfum Spray 10ml when you purchase 50ml or above of the Cartier Carat Eau de Parfum Spray**. *One FREE Cartier Carat Eau de Parfum Spray 10ml per order. **While stocks last. This product will be added to your basket automatically if your order qualifies for a free gift. Cartier Carat Eau de Parfum Spray is rated 5.0 out of 5 by 1. Rated 5 out of 5 by Shopaholic2228 from Lovely Love this, bought after receiving a sample. Lovely smell not too overpowering just right.